Any dog owner can tell you that while having a dog is great, it can also be challenging at times. Dogs are fun-loving and energetic, but without the proper stimulation they can quickly become bored. This often leads to misbehavior. That’s why it’s very important to keep your dog mentally stimulated. 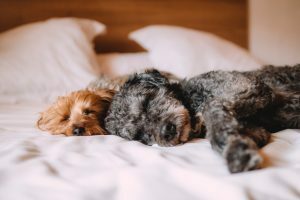 So, when you really need to make your time count, you have to find an activity for your dog that will fulfill their need for both physical and mental challenges. This is where the right kind of dog toy comes in handy. Not all toys are created equal, however. Some will get old quick, and others just won’t provide what your dog needs. 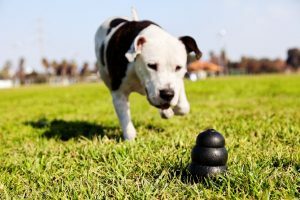 That’s why we’ve put together this list of the 5 best toys to keep your dog mentally stimulated. 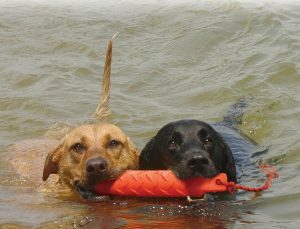 Check it out, and grab your dog their new favorite toy! A perennial favorite, the classic Kong rubber chew toy is one of the most recognizable dog toys on the market. It’s first on our list for many reasons; namely, it’s affordable and versatile. This red rubber toy is great for a challenging game of fetch, since it is bouncy and unbalanced, which means it could go anywhere. This will engage your dog’s desire to hunt and catch elusive prey. Also, thanks to its hollow design, the KONG rubber chew toy can be filled with treats, which is sure to keep your dog busy. Fill it with peanut butter and put it in the freezer, then your dog have at it. It will make them work for their treat while giving them continuous positive feedback. The Chuckit! Indoor ball is great for those rainy days when you need to get your dog’s energy out, but you also don’t want them tracking in mud from outside. It is bouncy and bright colored, and will definitely keep your dog’s attention. Plus, with Chuckit’s Bounceflex Core Technology, this ball is safe to throw around the house without fear of knocking over candles or picture frames. It also has a textured surface, which gives the added benefit of a little dental attention. 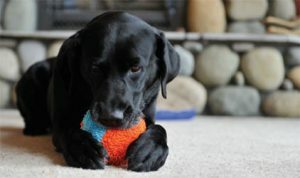 Its super durable construction makes this toy a long-lasting favorite in your dog toy arsenal. This super fun toy from Flossy Chews is a great two-for deal. Not only will it keep your dog active and engaged, but it will also floss their teeth! 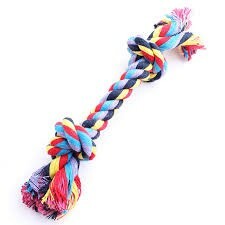 The Flossy Chews rope toy is perfect for dogs who love to chew and tug. 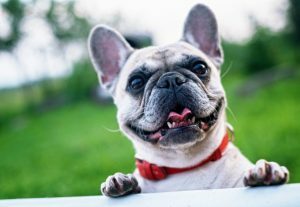 Plus, for dog owners on a budget, it is the most inexpensive item on this list. For dogs with the innate sense to clamp down and never let go, this toy will provide them with endless entertainment. It’s also a great fetching toy, since you can really get some good whipping action on it to make it really fly. The motion of the rope in air mimics the look of an animal, which will give your dog a natural target, rather than simply another toy. Frisbees are excellent toys for just about any dog, but especially hunting dogs, as it will give them an outlet for their natural desire to chase down animals. This is a great exercise if you want to train your dog for discipline and tracking, or if you just want an activity to wear out some of that energy. 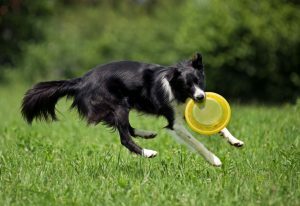 Now, any type of Frisbee will do, but there are some out there that are specifically designed for dogs. KONGmakes a good, durable rubber Frisbee, but they don’t fly as well as others. Hyper Pet makes a good floppy Frisbee that will stand up to some punishment, or you can take it a step further with the Chuckit! flying squirrel. Any of these choices will work. The point is, you are tapping into your dog’s desire to run down an errant animal. Mentally, this will give them satisfaction that they have done the job they were born to do. Another great offering from KONG, which is one of the most prolific pet toy makers in the world, this training dummy is perfect for dogs that need to learn to control their bite. Designed to be a bit softer than a normal toy, the high-density foam construction allows you to train your dog to use a soft mouth when carrying objects. Be warned: this is not intended for normal chewing time, like some of KONG’s heavy duty rubber toys. This is meant for training, and should be used as such. If you want your dog to just have some chewing relief, choose another toy. That being said, this toy can provide a great mental exercise in control. The more you work with your dog on soft mouth carrying, the greater improvement you will see with all other objects, not just the toy. You should consult a trainer for proper use, and always use positive reinforcement! If you already own a dog, you know the commitment it takes. If you are considering getting a dog, please keep in mind that you will have to put in some work to have a happy and healthy pet. The right toys can help, but it really comes down to you as an owner. It’s important to always keep your pet’s safety in mind. For that, you may want to consider an invisible fence, which will keep your dog from running off after an animal. There is no worse feeling than calling for your dog into the night to no response. Remember: always do the right thing for your pet.